One of the many reasons that homeowners have walkin bathtubs installed in their Acworth, Georgia, homes is that they don’t feel safe enough bathing in their ordinary tubs. Walkin tubs have low thresholds, locking doors, and safety features like grab bars, slip-resistant surfaces, and built-in seats that all work together to create a safe and comfortable bathing environment. Another reason walkin bathtubs are popular is their ability to be upgraded into therapy bathtubs, including aromatherapy, light therapy, and hydrotherapy bathtubs. Aromatherapy tubs release scented beads into the water, which are dissolved to emit soothing fragrances into the air; light therapy tubs use color-changing lights to evoke emotional responses; and hydrotherapy tubs use air jets to provide relaxing underwater massages. 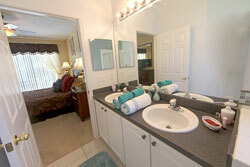 Homeowners also enjoy the stylish appearance of our walkin bathtubs. With their sleek, modern design and smooth contours, walkin tubs look great with any bathroom’s décor. And, with multiple colors to choose from, there are ideal options for anyone’s taste. If you would like more information about our walkin bathtubs and therapy tubs for homes in Acworth, GA, please contact us today.